Yes, technically you can run on the treadmill every time it rains outside (check out our tips for getting the most of your treadmill workout). But working out indoors for three quarters of the year can get old pretty quickly. Instead, why not learn to navigate your rainy-day runs based on how wet you think you’re going to get en route? 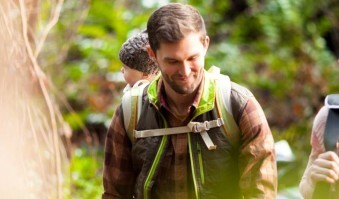 In other words, you’ll still log your outdoor miles, but you can run them on Portland-area routes that maximize your tree coverage and minimize the puddles and car splashing you’ll experience along the way. Next time it showers, stay a bit drier by running in one of the following spots. Forest Park is always a good place in PDX to seek shelter from the storm. This 5+ mile route starts in northwest Portland, takes you along Balch Creek, through scenic Macleay Park, and all the way up to Pittock Mansion, where on a clearer day, you can see the entire city and surrounding mountains. Leif Erikson is a go-to trail for extra tree coverage and not-too-muddy terrain. 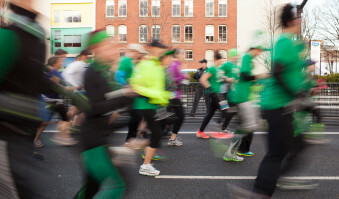 The Wild Cherry and Wildwood portion of your run will be a bit more hilly and technical, but the good news is that you can anticipate a speedy downhill finish. For being in southeast Portland, this park offers ample canopies to protect you from the rain and has little to no traffic inside. There are some spots along this particular route with fewer trees, like on 60th and then on Lincoln, but those are flat, so you can sprint right through them. If you’re looking for some refuge from the rain in southwest PDX, Marquam Trail is a great option. It’s relatively short, so you can cut out after one loop or keep going and do two (or more). Starting on Terwilliger will give you more exposure to the elements, but your glutes will benefit from the extra climbing involved. Even though it’s Situated right beside busy Southeast 39th Avenue, Laurelhurst Park is a quiet, traffic-free spot to sneak in some soggy miles. There’s just enough tree coverage to make you feel like you’re in the woods, but it’s close enough to home that you can quickly run back and slip into something nice and dry after your workout. Note: You can make each route longer — or shorter — by adding loops or tacking additional trails on to your run. For more tips on how to successfully (and happily) sprint your way through the rainy season, check out our advice on running in the rain. Live in the Seattle area? 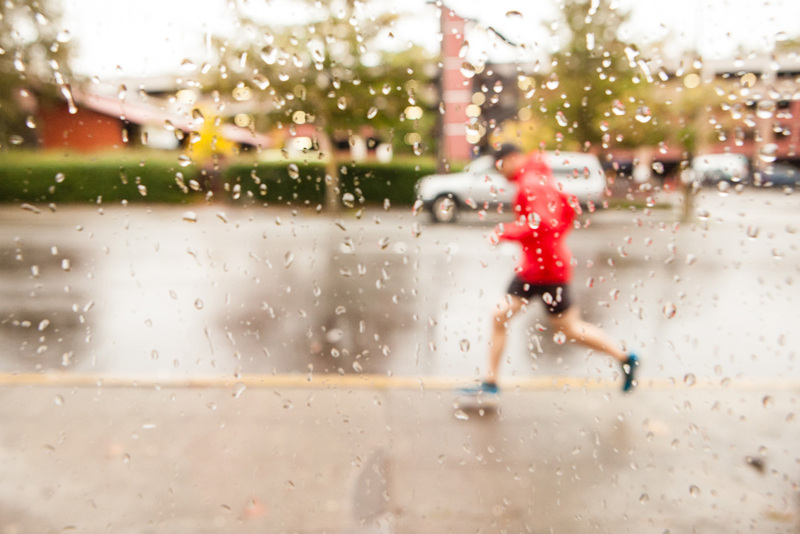 Check out these rainy day running routes we’ve scouted out just for you.